Treatment of prostate cancer is always planned on an individual basis. 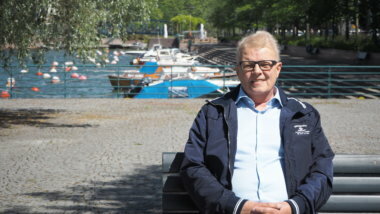 Docrates is a pioneer in prostate cancer treatments. The treatment of prostate cancer is always planned on an individual basis, depending of the nature of the disease. The choice of treatment depends on possible other diseases, any evidence of high-risk prostate cancer, the results of staging and, naturally, the patient’s own preferences. Localised prostate cancer can be cured with radiotherapy or surgery. Depending on the nature of the cancer, radiotherapy can be customised in a number of ways. 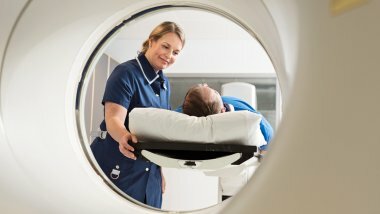 External radiotherapy provides many techniques to choose from, and brachytherapy (internal radiotherapy) is also an option. In aggressive cancers, best results are probably achieved by combining external radiotherapy with high-dose-rate (HDR) brachytherapy. Depending on the risk factors, radiotherapy can also be combined with hormonal therapy. Patients receiving prostate cancer treatment are recommended to see a urotherapist or physiotherapist or a specialist in areas such as nutrition and sexual therapy. They can provide home care instructions related to, for example, recovery-promoting exercises and general well-being. Docrates operates also in the field of clinical drug studies. We have participated in 30 different clinical drug trials so far. In addition to the traditional prostate cancer treatments, we offer radionuclide therapies with, for example, radium-223 and samarium. We also added lutetium-PSMA to our treatment portfolio at the beginning of 2017. Radionuclide therapy with a radioactive substance (radium or samarium) that targets the bones has been found to be both an effective and safe treatment option, when metastases exist only in bone structures. The lutetium-PSMA therapy also makes it possible to effectively destroy metastases outside the bone structures, without serious adverse effects. Using HDR brachytherapy in addition to conventional external radiotherapy in high-risk and locally metastatic prostate cancer enables us to increase the radiation dose while minimising the probability of adverse effects. Read more about the customised treatment of metastatic prostate cancer using the latest treatment methods.